This week has been another week full of outdoor time! It has been lovely. 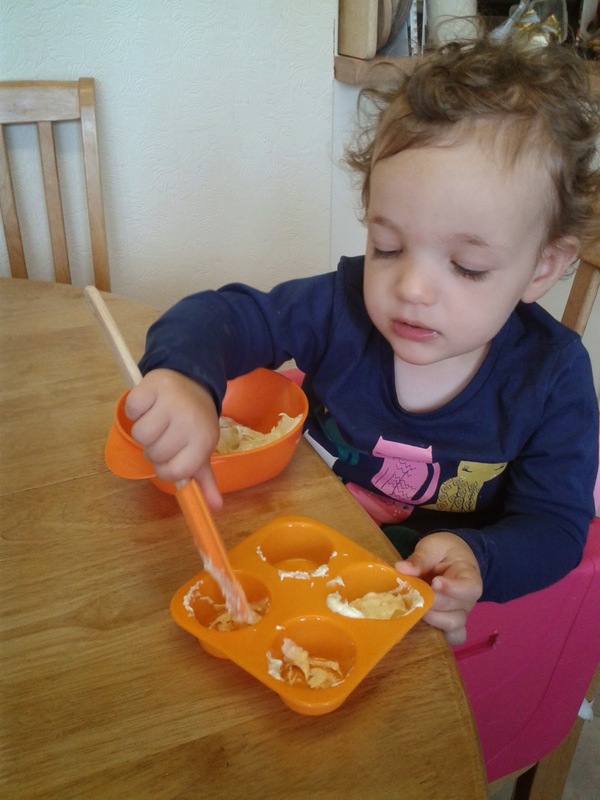 However the rainy days have been challenging, but I am now on the look out for activities as I have found that the twins loved having something to focus on. 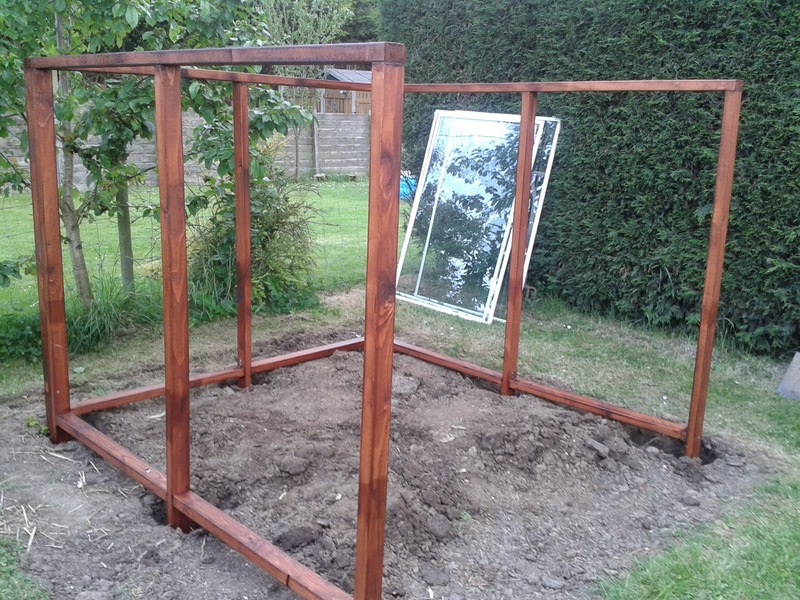 We have had hubby home a couple of days this week to start building the greenhouse. 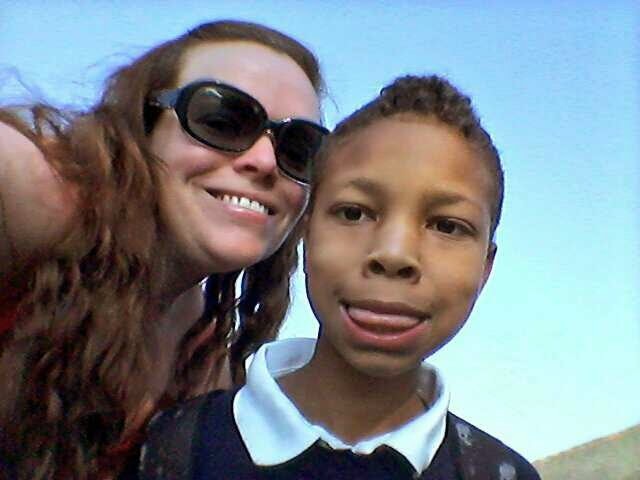 Joseph has also broken up from school for the half term holidays. Monday was a glorious day! 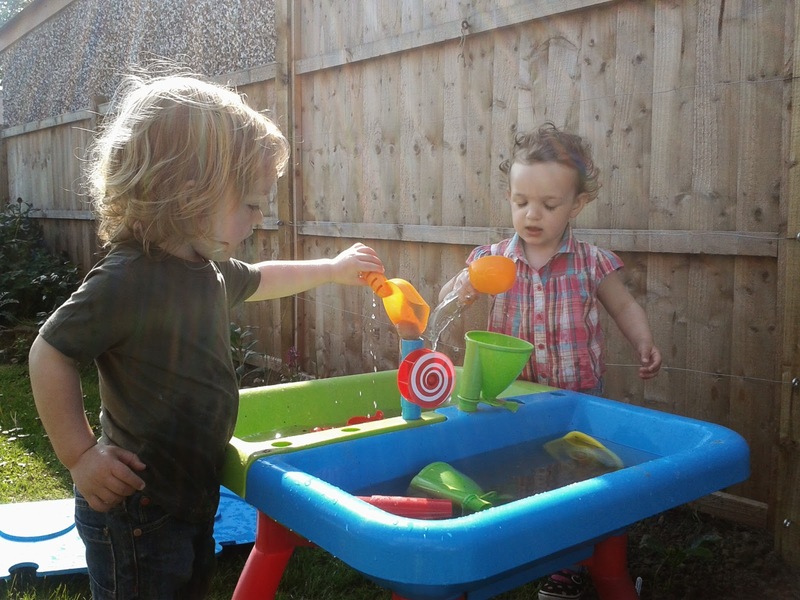 The twins enjoyed the garden and their water table in the sunshine. They also enjoyed their first ice pops! Tuesday wasn't as hot but was still dry. 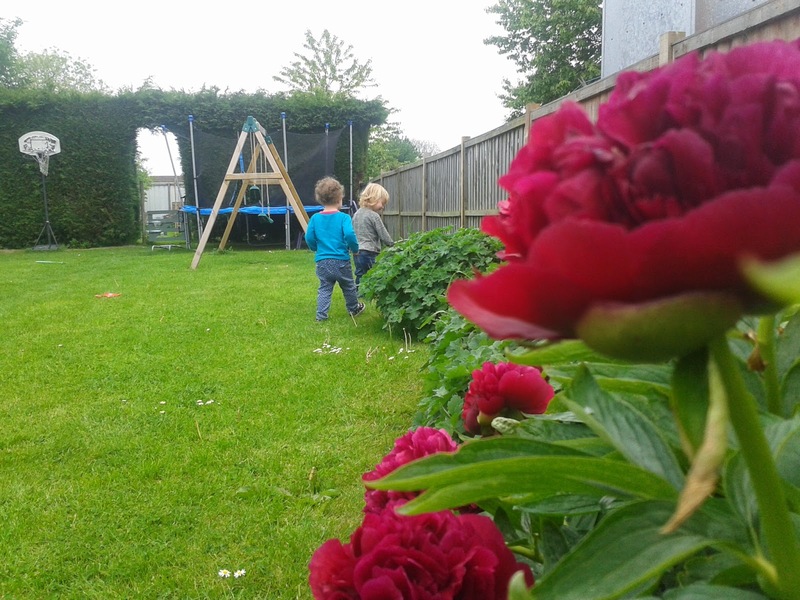 We enjoyed yet more time in the garden. 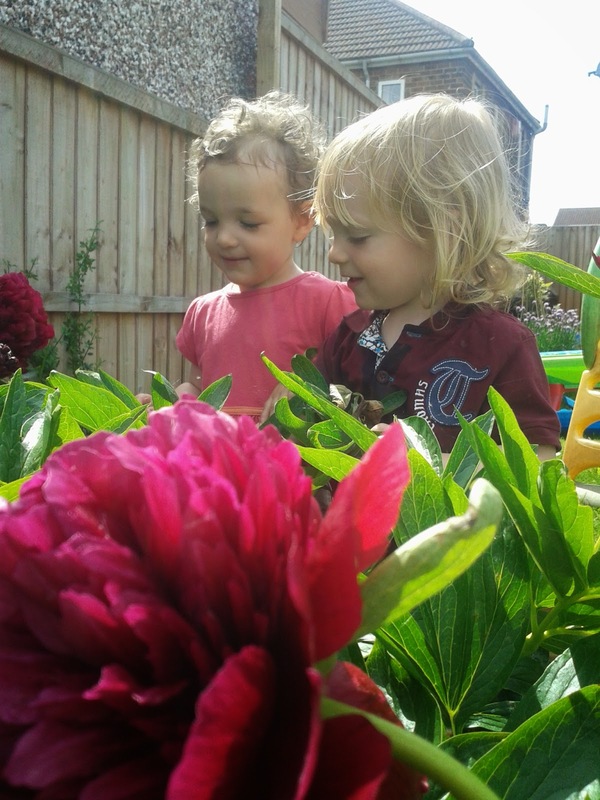 The twins are starting to get inquisitive around the flowers and Isabella is asking what they are called. She now knows Peony, Lupin and Lavender! 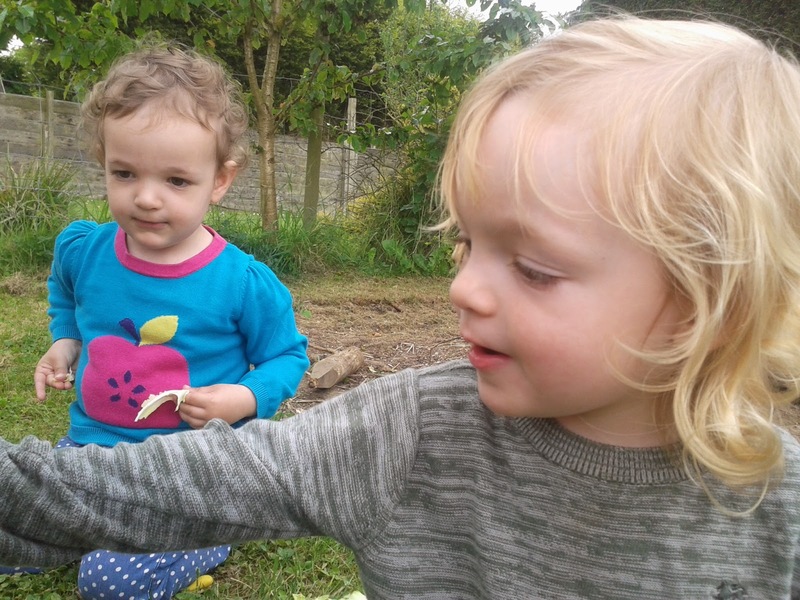 They enjoyed taking some cauliflower leaves down to the chickens. They are getting a lot braver around them and happily sit pushing leaves through to the chickens to eat! The hubby took Wednesday off to start the building work on the greenhouse. This has been a project that he has been working on for weeks now. So he was so excited to get started. 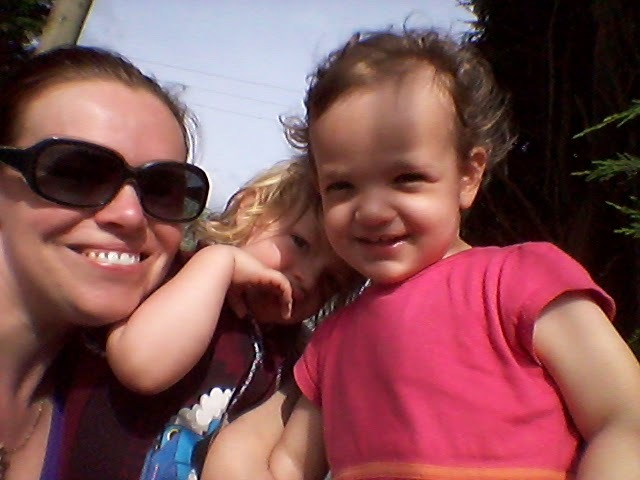 As it was yet another beautiful day we had lots of outdoor play and finished the day off with a family barbecue! Thursday was a complete wash out. It rained all day! 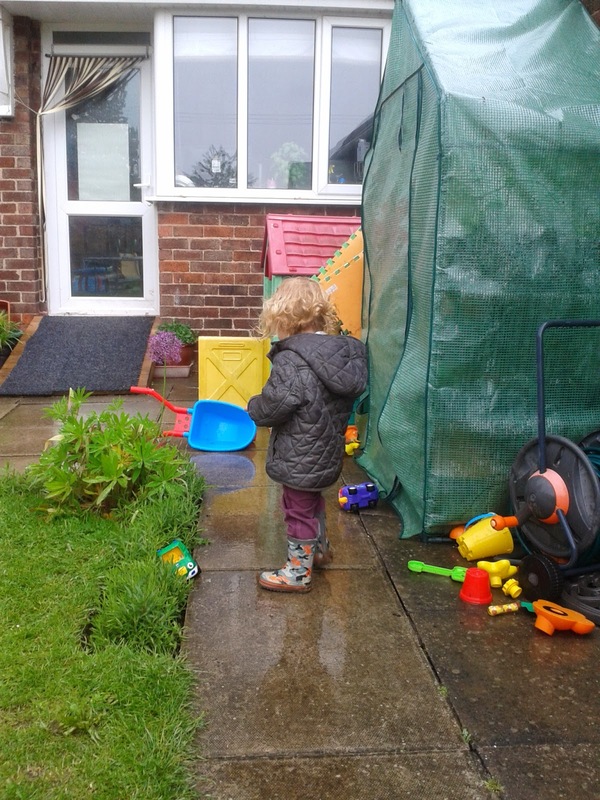 After having lots of lovely outdoor play the twins were starting to go stir crazy being inside! This led to them getting into mischief and winding each other up. Which ultimately ended up in tears and tantrums! So to diffuse the situation we did some baking! I was making some cakes so I did a little extra mixture and gave them a bowl each. 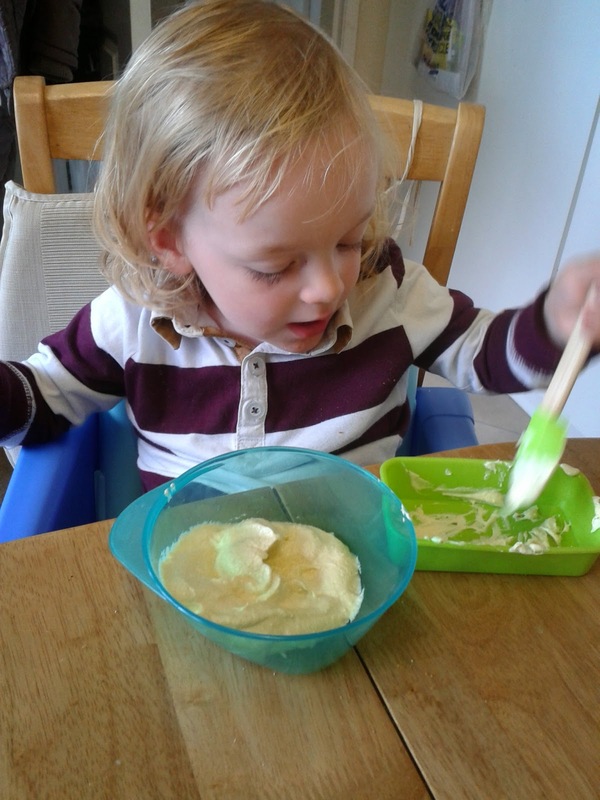 They loved it and now when mummy bakes they say "mix mix" to join in! I have recently been wanting to experiment a little more with my bread baking. I love baking bread it has to be my favourite food to bake. I always enjoy the whole process of making it. 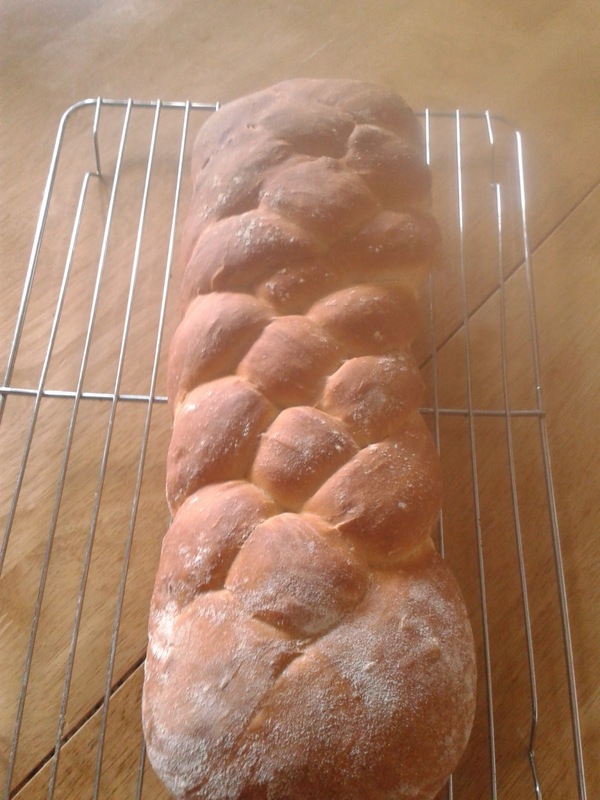 This was my second attempt at a plait loaf which the hubby said was the best loaf that I have made! It was delicious, in fact I have another in the oven at the moment! The new trampoline enclosure arrived. The old one had ripped so it wasn't safe for the twins to play on it. 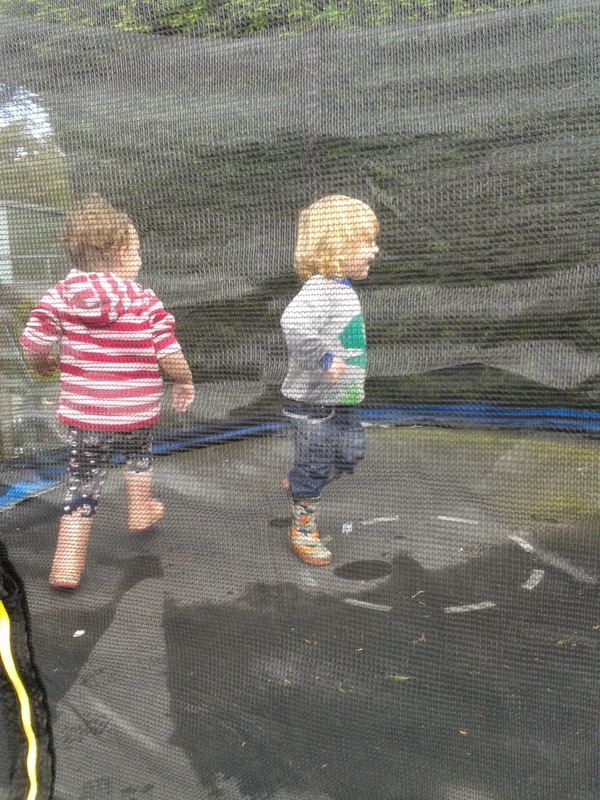 As soon as the hubby had replaced the netting the twins wanted to have a go. They loved it! I can see that from now on they will be wanting to "jump jump". 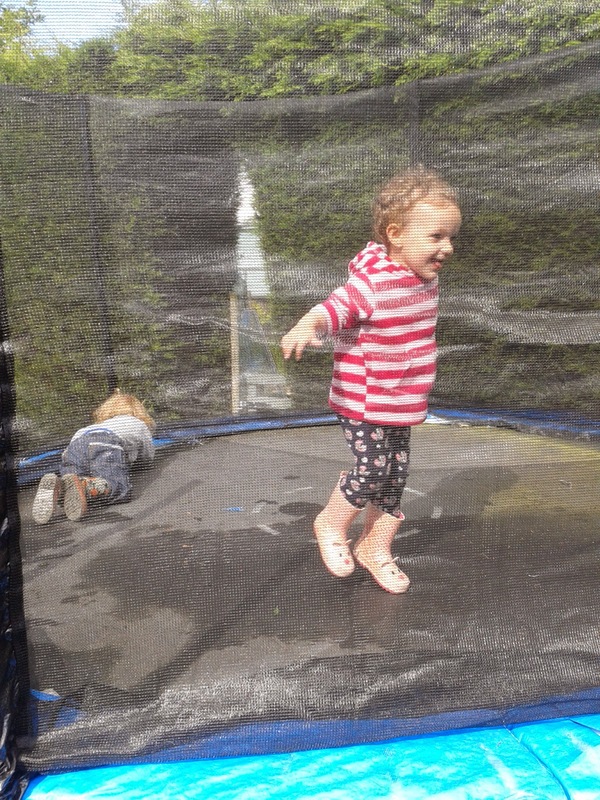 Lovely outdoor photos..our trampoline netting is ripped too..must look into getting a new one! I love looking at all the 365 posts, so many lovely photos! Your twins are cute - that was a lovely age. Beautiful pictures. 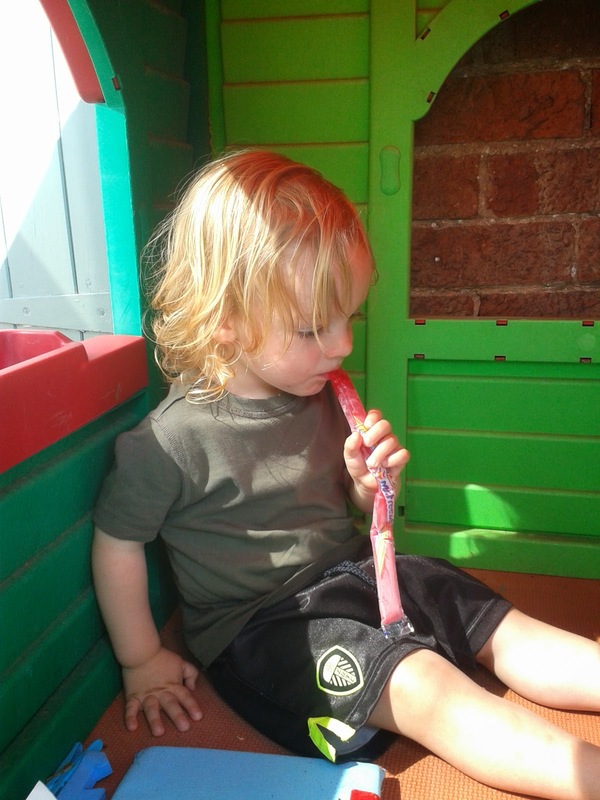 We love outdoor play as well :) . Lovely pictures... Looks like a fun week. My hubby just suggested starting a greenhouse project too! Cute photos! I'm glad we had a bit of sunny weather recently, roll on summer! Looks like you have a lovely garden for them to enjoy. It's great that you have had the chance to get out in the garden despite the odd bad day. I have serious green house envy! I saw your bread via Facebook and thought then how good it looked - mmm! 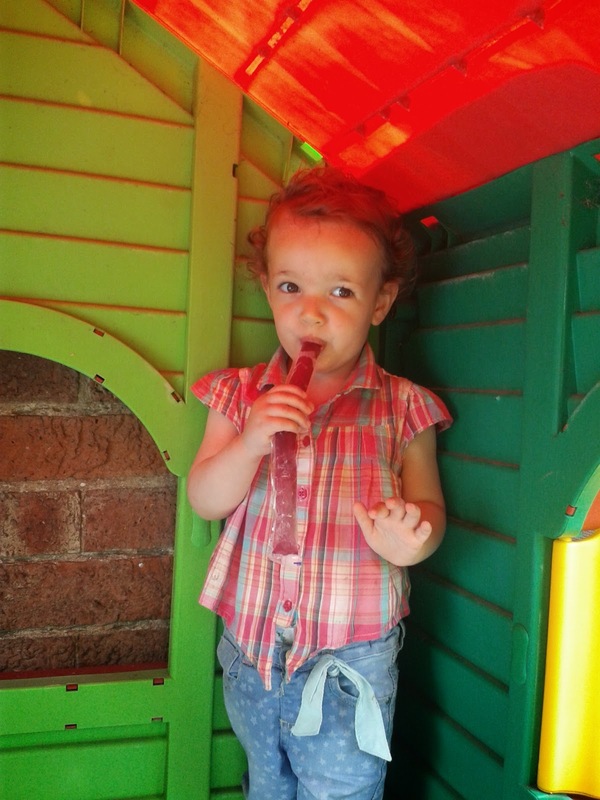 lovely photos, looks like you've had some lovely times :) and the ice pops make me so nostalgic. used to love them but they're a bit sweet/artificial for me now. It looks like you had a lovely week. We love the sunshine and have also been making the most of it. Lovely photos - that plait loaf looks fab!! I'll have to persuade my OH to have a go at making one. great photos and I wish I could remember to do this, maybe next year!